Many Canon 5D Mark IV reviews have started to show up on photographic sites around the world, but the site I trust for so many years to get the best idea of upcoming hardware is DPReview. They recently published a review about the anticipated 5D Mark 3 upgrade with samples and their unique quality comparison system. 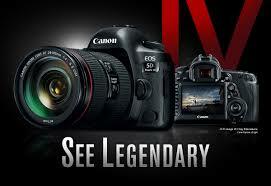 Capable of recording Digital Cinema (DCI) standard 4K (Motion JPEG) videos of 4096 x 2160 pixels at up to 30 fps, the EOS 5D Mark IV is an extraordinary camera for movies, news, weddings and more. It’s also able to shoot Full HD video at up to 60 fps and HD video at up to 120 fps, and supports both MOV and MP4 formats for HD and Full HD right out of the camera for easy distribution or for use in editing software. Featuring Dual Pixel CMOS AF and Touch AF, the EOS 5D Mark IV camera delivers quick, smooth AF throughout 80% of the picture area for excellent subject tracking while shooting video. Used in conjunction with the camera’s touch screen, it’s easy to select the location and size of the AF frame, which can be especially useful when the subject is off center or for dramatic focus shifts. The EOS 5D Mark IV camera is designed to capture the action. Its remarkable shutter, advanced AF, exposure and image processing systems help ensure virtually instantaneous response and performance at up to 7.0 fps**, even at full resolution. A cam-operated Mirror Vibration Control System with a high-torque motor helps suppress mirror impact for stable, high-speed shooting, while the AF and AE systems help ensure accurate exposure and focus tracking, even at high speed. Whether immortalizing a bird in flight or a father’s first dance with the bride, the EOS 5D Mark IV camera delivers a combination of performance and image quality that’s ideally suited to the needs of advanced photographers. The EOS 5D Mark IV camera’s Dual Pixel CMOS AF system enables capture of Dual Pixel RAW (DPRAW) files***. Images shot as DPRAWs offer advanced photographers significantly more parameters for post-production adjustment with Canon’s Digital Photo Professional software. DPRAW files processed in Digital Photo Professional can be adjusted with functions that include Image Micro-adjustment to help reduce blur and maximize sharpness in detail areas, Bokeh Shift for more pleasing soft focus areas and Ghosting Reduction to help minimize aberrations and flare. Featuring an ISO range of 100–32000 (expandable to 50–102400), the EOS 5D Mark IV camera thrives at low-light photography. Whether shooting at night, in inclement weather or even in dimly lit auditoriums, the EOS 5D Mark IV camera’s sensor has an improved S/N ratio plus an improved noise-processing algorithm to deliver high-level light sensitivity, without compromising image quality. In low light, or when simply suppressing camera shake blur, the EOS 5D Mark IV camera’s extended ISO range helps it to excel in a wide range of lighting situations. The EOS 5D Mark IV has a new AF sensor, with 61 AF points covering a broader vertical area of the image than its predecessor. This AF system delivers excellent accuracy and performance, with up to 41 cross-type AF points available, and extra-high-precision AF at up to 25 points on the AF array (when wide-aperture lenses are used). Low-light sensitivity of this AF sensor is also improved, with the center point delivering AF at levels down to EV -3. AF with tele extenders at f/8 maximum effective apertures is also greatly improved — AF is possible at up to all 61 AF points, when specific Canon telephoto lenses are combined with Canon's Version III EF tele extenders. To determine and maintain proper exposure, especially in varying light sources with moving subjects, the EOS 5D Mark IV camera’s iSA (Intelligent Scene Analysis) system has a dedicated RGB+IR light sensor with approximately 150,000-pixel resolution. It provides the camera with quick and comprehensive image analysis. The EOS 5D Mark IV also incorporates Canon's Intelligent Tracking and Recognition system (iTR AF) that detects and tracks subjects, automatically switching the AF point to maintain subject tracking. Especially helpful when shooting under fluorescent lights, the EOS 5D Mark IV camera’s anti-flicker function detects the frequency and phase of a light source’s flicker and captures images near the point of peak brightness when the subject is most likely to be properly illuminated. For ease and comfort in all day shooting, the EOS 5D Mark IV camera’s Intelligent Viewfinder II offers a bright, customizable view that includes AF points, an electronic level and numerous relevant camera settings. The EOS 5D Mark IV camera has built-in GPS to help photographers and filmmakers automatically tag their images with location data. This sophisticated system can also time sync with Universal Time Code (UTC) via satellites around the globe. The EOS 5D Mark IV camera is designed to perform where the action is, no matter the conditions. Not only is it lightweight for easy portability, but it also features a robust structural design. Its dust- and water-resistance is enhanced with numerous seals around the camera’s buttons, ports and lens mount.